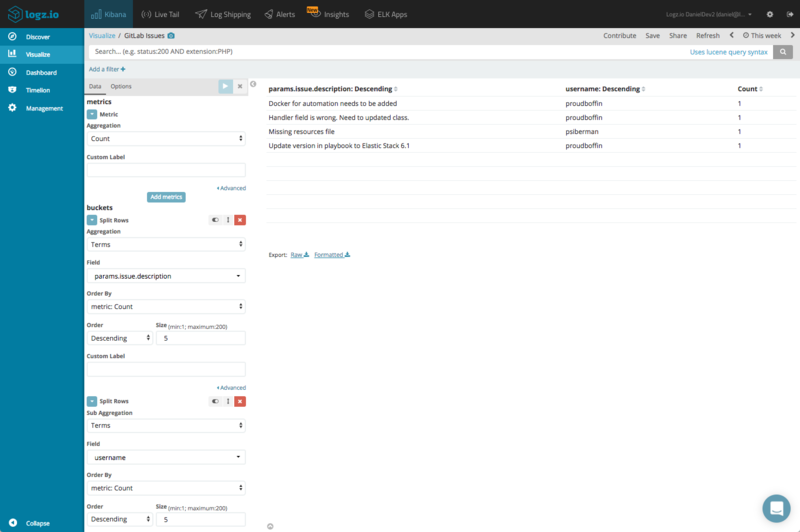 GitLab is a software development platform that helps organizations manage, develop and deploy git-based code. Growing in usage and popularity, GitLab offers a rich set of development and CI/CD features, such as issue tracking, code reviews, merge handling, and project management. GitLab allows multiple teams, such as PM, Dev, QA, and Ops, to all collaborate in one application. 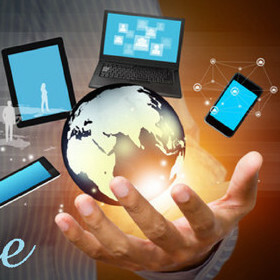 This leads to multiple users generating activity on a large scale. 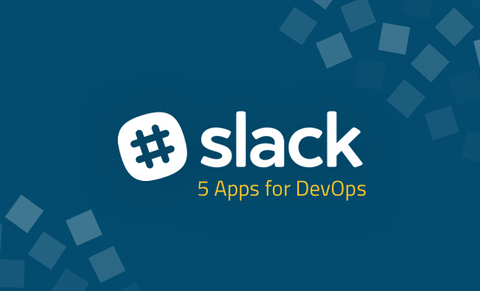 Issue updates, code commits and merges, and deployment pipeline status — all of this together results in a lot of activity to be monitored. 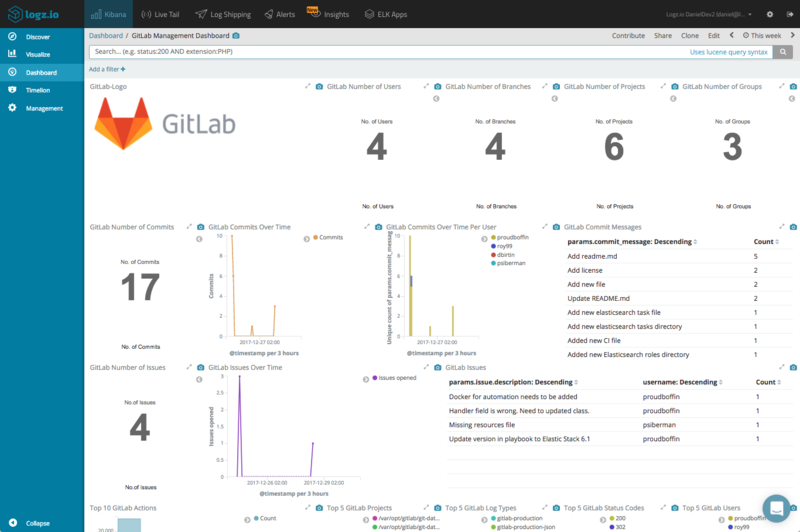 GitLab comes with some built-in monitoring and visualization capabilities, such as Cycle Analytics and the per-project contributors and repository graphs. Cycle Analytics is especially useful as it enables teams to analyze their efficiency. However, if you want to analyze the data by searching and querying, or if you want to visualize the data yourself, you might find these features somewhat limiting. 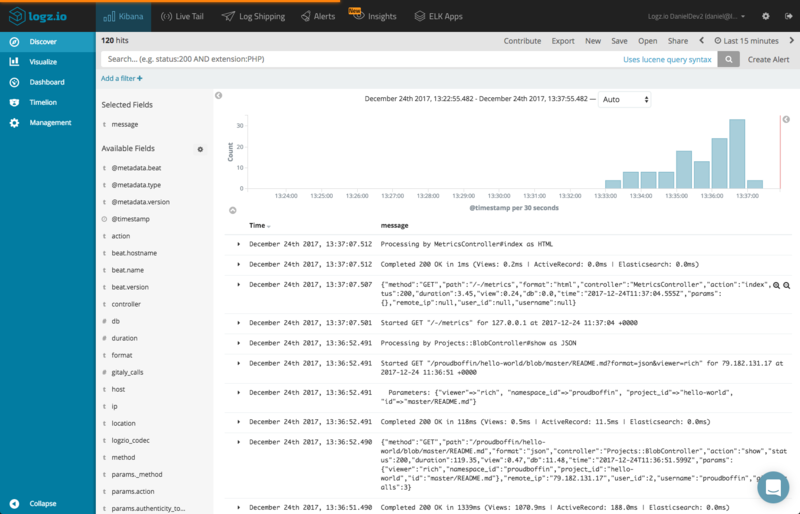 This article explores a more centralized methodology by integrating with the ELK Stack (Elasticsearch, Logstash and Kibana). 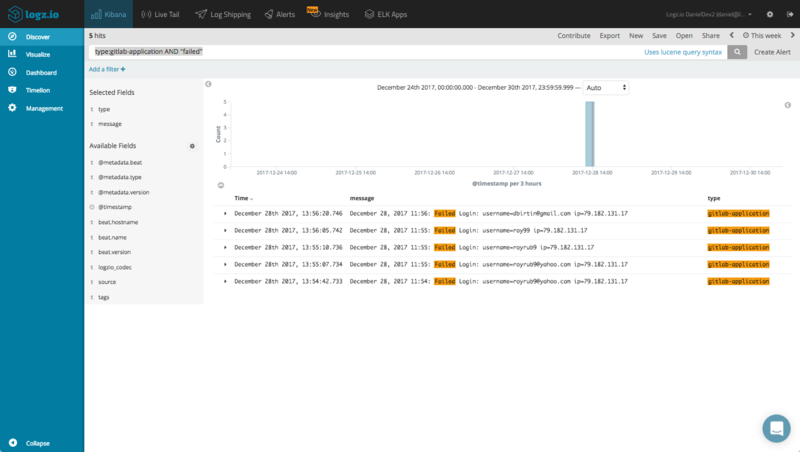 ELK provides powerful log aggregation, analysis and visualization capabilities that used in tandem with GitLab’s extensive logging framework will give organizations an accurate and comprehensive bird’s eye view of the system for monitoring, troubleshooting and analyzing team activity. 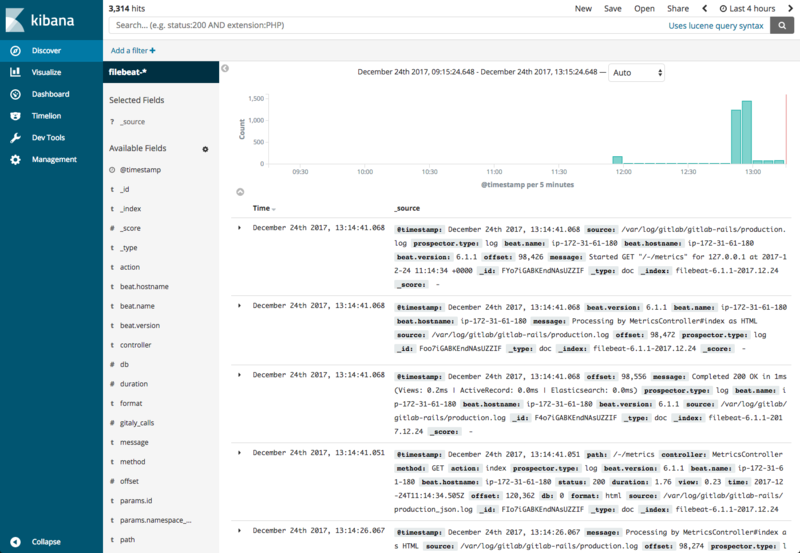 Using GitLab’s log data, for example, rich dashboards can be created to monitor not only the system’s general health but also specific team metrics, such as the number of commits, issues opened and closed, and so forth. You have a GitLab Omnibus installation up and running (either the Enterprise or Community edition will do). For instructions on installing GitLab, see here. Of course, what log data you want to ship is entirely up to you. You can ship all the log data, or you can be a bit more selective. 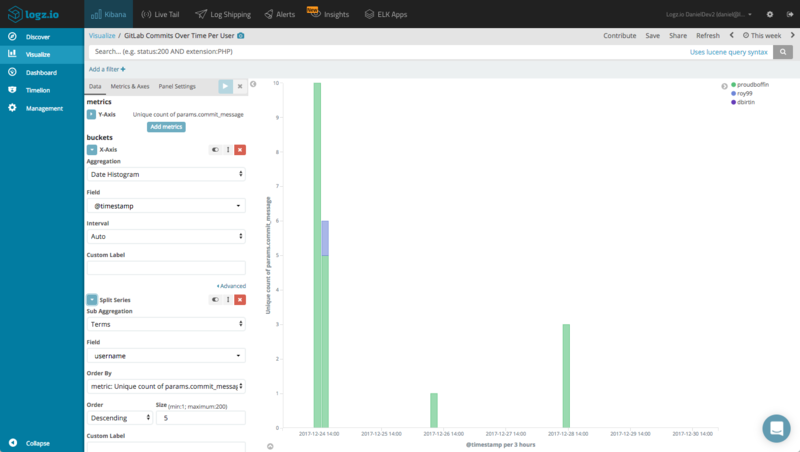 These logs can be pretty verbose, so depending on storage and retention considerations, it’s a good best practice to first understand what logs you need to monitor in the first place. Logz.io specific fields added to each prospector. Replace <yourToken> with your Logz.io account token (can be found in the Logz.io UI, under Settings). 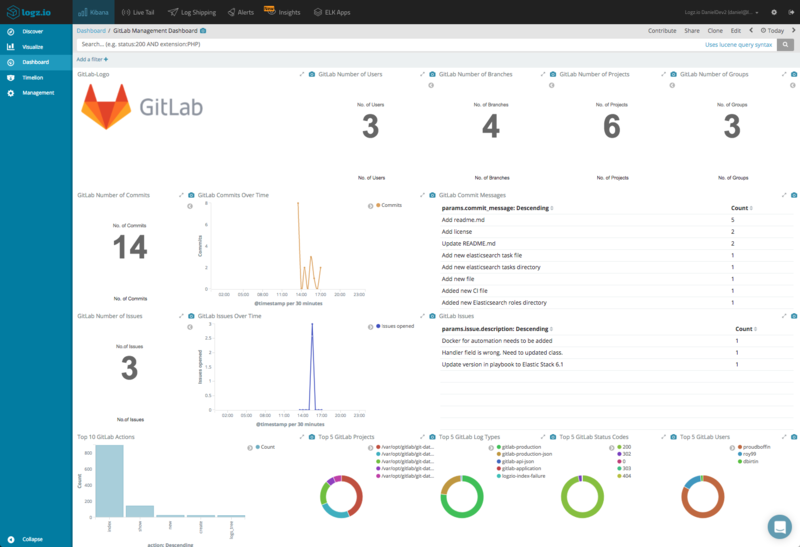 Interested in monitoring your GitLab environment? 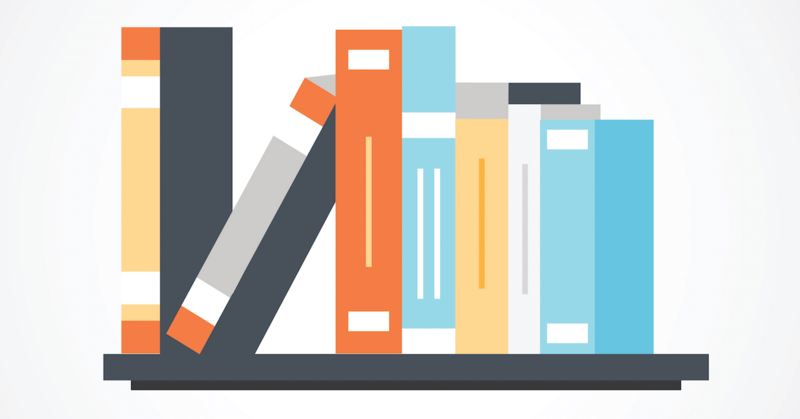 The ELK Stack offers built-in storage, search and visualization features that compliment GitLab’s rich logging capabilities. 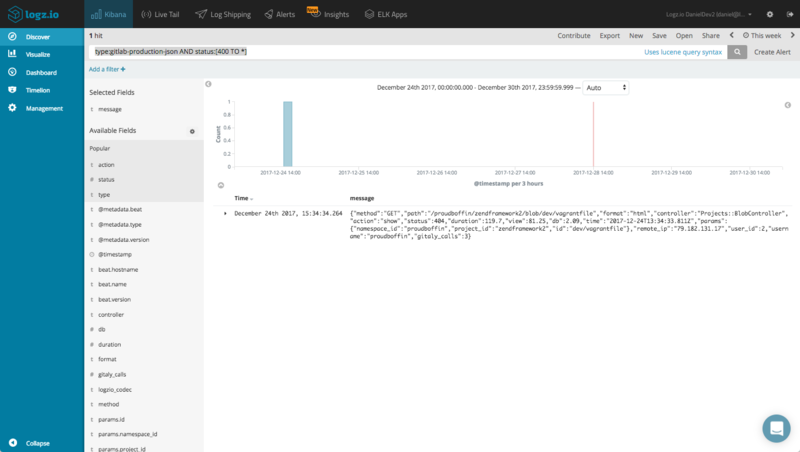 Using Filebeat, building a logging pipeline for shipping data into ELK is simple. If you want to further process the logs, you might want to consider adding Logstash into your pipeline setup. Logz.io provides some tools to help you hit the ground running — easy integration steps, as well as the monitoring dashboard above. 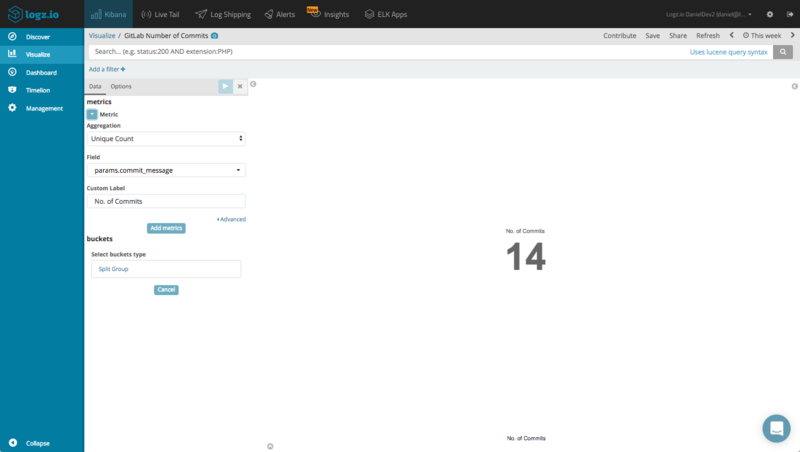 To install the dashboard, simply search for ‘GitLab’ in ELK Apps and hit the install button.